Greetings to you, this is Melchizedek. I speak as one of the members of the Team who are here to assist each and every human being through the evolutionary stages of transformation, as the Earth and her peoples journey from matter into Light. We have great joy in sharing with you, with you all, as progress in being made in no uncertain terms. And we have joy in seeing this land, this land of Scotland, begin the process of self realisation. The land holds the keys for people living here to come into their own self realisation. And the land holds the keys for any who are drawn here to come into self realisation. There will be those who travel from afar to visit these Sacred Sites, called by their soul, by their I AM presence. And all who come to interact with the land, all who come bearing their gifts, their gifts of alignment with Divine will, the Creator’s intent. This is indeed a Holy land, and will be recognised as such with the gifts that it gives in return. All will be made clear to you as you are beginning the journey of activating the sites. You will see the land responding with every breath that you take in alignment with the Source of creation. To be on the land to breathe the air, to bring the Light you carry, and to recognise your value- we say this to all human beings who are drawn to the Sacred Sites of Scotland. The keys to consciousness held within each of these sites will be given to the human beings who give their gifts in return. These keys not only activate the templates of consciousness held within the Earth’s body, but also the etheric templates which are to descend. 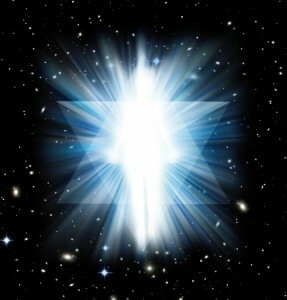 There is an overlay, a blueprint, where the Earth’s energies are held at the moment by Light beings, guardians of the universal grid work of light, the White Brotherhood, as stellar systems unite, once again each holding their own particular resonance and vibration. And this blueprint is created now, we say to you. All around the Earth. It is in the Earth’s etheric body, it holds the pathways of Light which once anchored into the sacred sites all around the world, provides the map for energy flows- the required template to connect all these sites together once again, to assist in the Earth and her people’s Ascension from matter into Light. We remind all humans that consciousness is the key. For each one’s individual journey of coming into their own power and aligning with the Mother/Father God, the Mahatma, the I AM presence of the Source of creation. This blueprint that we talk of is waiting to be anchored in the sites, is one for this now, and we say there will be more. This one that has been created by the Great White Brotherhood is for this year of 1998. It has been a long time in your Earth time since such a complete template has been created and given to those who volunteered to be the key holders, the janitors, the caretakers, the guardians, whatever you wish to call yourselves. We would go so far to say that never before has a template like this been given, and this would be a truth. For the last time that this scale of Earth working and Earth healing was necessary was on the journey of light into matter. And those blueprints and those templates were different from the ones that are given now, in the journey of Ascension. You can understand, we are sure that each and every moment is precious, is jewel like in its radiance, and can never be repeated again. Such an intricate dance of geometrics, sacred shapes of light and colour that form the Earth’s energies, for the light and energies that flow through the Earth’s body, to the centre of the Earth, to the iron heart crystal of Mother earth, and also round in radiating spheres from that central crystal, out to the Earth’s surface and beyond, and out into the Universe. These are not lines of energy, these are intricate interplays of geometric shapes. Linked one to the other, holographically, spherically, infinitely. We encourage to not use the term lines of energy- for this is too linear. We encourage you to activate your inner senses, by thinking and imagining geometric shapes wherever you go, whichever place you visit, so that you may attune your own sacred geometry, of star tetrahedrons, to the star tetrahedrons that are everywhere in the Earth’s energy fields. For now, this is one of the key shapes to use in your imaginings, in your activations, and there will be others too, that you either may sense at this time or may be given to use at a later time as they come more into the potential of the human energy field to use. For ultimately all the sacred shapes and all the sacred geometry will be anchored through the human energy field to be held once again as the blueprint of creation, all over the Earth, all through the Earth, above and below. We ask you to think spherically, holographically, as this will assist you much in opening up to your truer sensing of the electro-magnetic fields. As has been said to you and as you have seen, the standing stones and circles have a dome, have a sphere, half above the Earth and half below the Earth which carries the main star tetrahedron, the static star tetrahedron for that site. And within this sphere, the two counter rotating star tetrahedrons operate. We encourage you wherever you go to activate by affirmation, your own star tetrahedrons. I affirm that my counter rotating star tetrahedrons are counter rotating in a balanced way now. This is simple and has pure energetic impact. When you do this on a site, the stones will respond to you, we ask you to directly communicate with these eternal holders of wisdom. Some of these sites are like libraries, and the more active they become, the more information will be available to each person who visits. These are their gifts. The information may be recall of the times spent in various civilisations, the gifts may be healing and retrieval of power, where one’s power has been given away. That power may be given back, so we ask you to invoke your own healing on these sites. I affirm I take the next step into wholeness on my journey home. I affirm I reclaim my potential, my power, always to be held within my open heart. I call in the Godhead and I call in the Goddess, the Mother/Father god, who created me, this individualised self. And now I seek realisation of the greater self, of the Love that is mine to reclaim. I affirm I reclaim the Love that I have thrown away, or neglected, or given away. I affirm that I let go of all that stands in my way to wholeness. I affirm I let go of all my resistance of coming into Love. When you open up to the sacred geometry that is creation, you will find such oneness and such joy as you will see and experience – the linking and the bonding that comes through sacred union. The Presence of the Divine Mother and Father God will be in your lives. We will join you later. I Melchizedek and the Great White Brotherhood surround you with our presence and our love. Namaste.